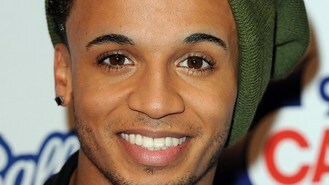 News - Aston Merrygold wants to marry? Aston Merrygold wants to marry? The JLS star - who dated former EastEnder Louisa Lytton until they split in 2007 - told the Daily Star that he is fed up with the single life. Aston, 24, said: "I need to find myself a bride. It's been nearly four years." The singer, whose band has enjoyed hits including Beat Again and Take A Chance On Me, insisted he is "not lazy" when it comes to looking for love. "I do want to find the woman of my dreams," said Aston, whose bandmate Marvin Humes recently got engaged to The Saturdays singer Rochelle Wiseman.